The PLA is a thermoplastic, environment's friendly as it is produced from cornstarch and other vegetables, therefore easily biodegradable. With a predominance of almost 70% in the filament's sale, is suitable for various uses: from prototyping to production, both for its costs and ease of printing at low temperatures. 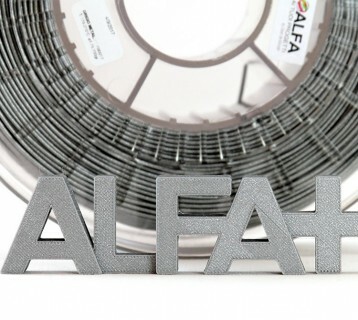 The PLA FILOALFA is derived from raw material of high quality and thanks to a slightly modified formulation is particularly fluid in print and with a good finish. Our formulation is also characterized by a low printing temperature and excellent mechanical strength compared to the reference market. And last but not the least, its processing is completely NON-TOXIC and ODORLESS up to high temperatures (230 ° C). PLA There are 41 products. 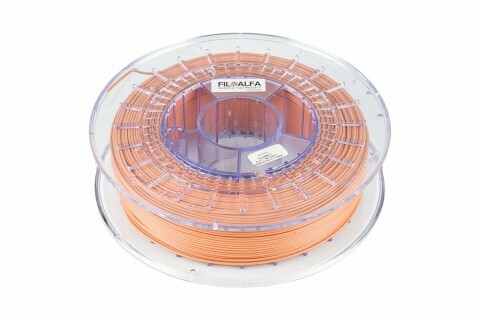 250 g PLA GRAFYLON 3D printer filament ø 1,75 mm spool . Colour: GRAPHENE. 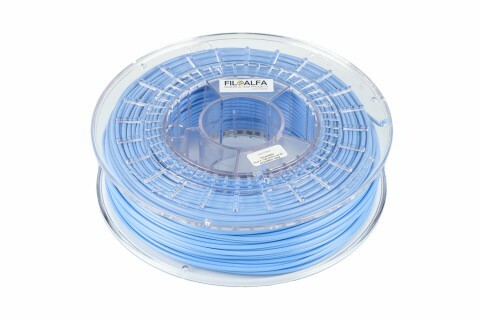 700 g PLA GRAFYLON 3D printer filament ø 1,75 mm spool . Colour: GRAPHENE. 700 gr PLA 3D printer filament ø 1,75 mm spool. Colour: amber. 700 gr PLA 3D printer filament ø 1,75 mm spool. Colour: "laterizio". 700 gr PLA 3D printer filament ø 1,75 mm spool. Colour: bronze. 700 gr PLA 3D printer filament ø 1,75 mm spool. Colour: BROWN. 700 gr PLA 3D printer filament ø 1.75 mm spool. Colour: christmas blue. 700 gr PLA 3D printer filament ø 1.75 mm spool. Colour: christmas green. 700 gr PLA 3D printer filament ø 1.75 mm spool. Colour: christmas red. 700 gr PLA 3D printer filament ø 1,75 mm spool. Colour: fluo green. 700 gr PLA 3D printer filament ø 1,75 mm spool . Colour: fluo orange. 700 gr PLA 3D printer filament ø 1,75 mm spool. Colour: fluo pink. 700 gr PLA 3D printer filament ø 1,75 mm spool. Colour: fluo yellow.